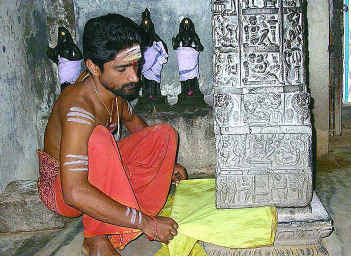 Kottai Kovil (Mallikarjuneswara Temple), located on the northern side of Dharmapuri, is temple dedicated to Lord Shiva. This temple is known among the tourists for its rare sculptures and paintings. One of the highlights of this temple is the 'Hanging pillar'. As per the locale belief, a secret passage in this temple connects it to Adhiyamankottai. The place has some great religious significance as thousands of devotees come here to worship the deity. 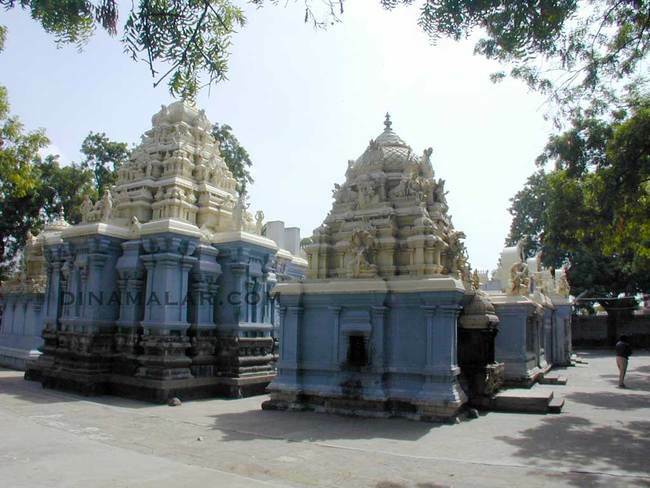 The Mallikarjuneswara temple in Dharmapuri district stands out for its architecture. There is no Rajagopuram in this Temple. Situated in an area called, `Fort,' is the temple for Lord Mallikarjuneswara, popularly known as Eswaran Koil or Kamakshi Koil. There are two hanging pillars weighing 2.5 tonnes speaking on the strength of sculptural skill of Tamilnadu. A paper can pass through the gap easily. The Maha mandapam with its so-called `hanging pillars' (so called because the base does not touch the ground) is an architectural marvel. Each of the pillars weighs about two and half tonnes and the carvings of beautiful damsels are engraved on them. In the sanctum sanctorum of the presiding deity is the sculpted figure of Goddess Lakshmi with elephants on either side showering water on the deity. It is also believed that this Shiva Sthala was established by Banasura. Great Tamil poets as Avvaiyar, Arisil Kizhar, Ponmudiyar, Paranar, Kabilar, Nagayar, Adhiyan Vinnathanar and Saivite Saints Sambandar and Sundarar had sung the glory of the place and Lord. Renovations were carried out during the 9th century. Lord Sri Rama had performed penance here. Lord Muruga graces the devotees with His six faces sitting as Lord Ayyappa. His peacock is holding a snake. 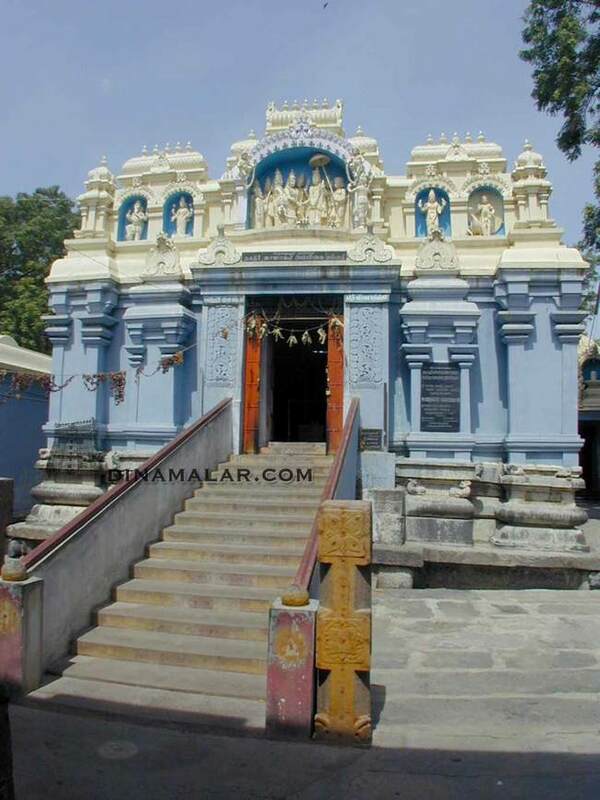 The temple is in the heart of Dharmapuri town and is easily reachable. Dharmapuri is 67 km from Salem, 110 from Thiruvannamalai, 150 from Bangalore and 45 km from Krishnagiri. Bus and rail facilities are available from all directions. Phone: 04342 268640 ; 04342 264924 ; 9443084116.